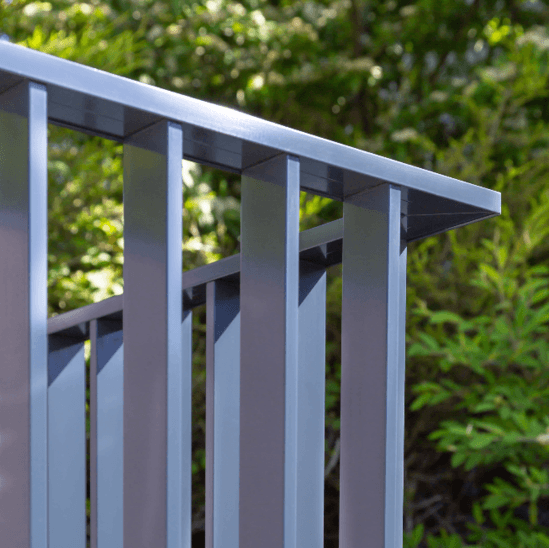 The B50 vertical bar balustrade is a modular and lightweight balcony system for residential and commercial developments. 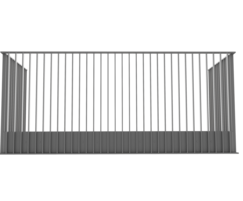 It is a side-mounted flat bar balustrade system designed for balconies or terraces, and incorporates a balcony fascia plate to provide a complete solution that minimises co-ordination challenges with other trades and contractors. Each bar fixed to fascia plate with concealed fixings. 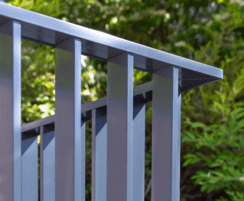 Aluminium powder-coated finish - less susceptible to corrosion than steel. 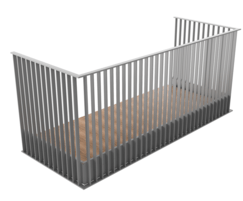 Lighter than solid welded steel systems. Load-tested to meet a 0.74kN/m loading. Flat continuous edge to integrate with site waterproofing strategy.